This entry was posted in LIS Staff Interest and tagged April 10 09, MIIS on April 10, 2009 by Doreen Bernier. Who’s on first for the computer age! I don’t normally send jokes around via email, but this one made me laugh so hard that I cried. This entry was posted in LIS Staff Interest and tagged April 10 09 on April 10, 2009 by Michael Roy. LIS is pleased to announce that we will once again be offering 24/7 services at the Main Library during the last week of classes and the exam period May 4 – 18. The Music Library will maintain regular semester hours during this period. The Armstrong Library will extend hours during exam weekend 5/15-17. This entry was posted in LIS Staff Interest and tagged April 10 09, library hours, User Services on April 10, 2009 by Elin Waagen. 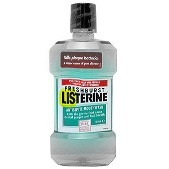 The inaugural LISterine Workshop is scheduled for Wednesday, April 15, from 9-10:30 in Library 105. Hans Raum will demonstrate online and print government information resources. In May, Digital Media Tutors Jue Yang and Jack Cuneo will show us mapping technologies. Watch your inbox for invitations. This entry was posted in LIS Staff Interest and tagged April 10 09, Liaisons, training, workshops on April 10, 2009 by Carrie Macfarlane. Dude, where’s my Tigercat and Snowleopard? If you attended Carol’s budget meeting on Tuesday, you already know there are plans afoot to migrate away from Novell’s Netware to Microsoft Windows DFS (Distributed File System) for networked access to files. Many more details will be available shortly but this post will serve as a heads-up. To test the new system we will migrate all of the LIS/ITS files from Snowleopard, as well as all personal files for LIS staff from Tigercat (drive U:) to DFS on Thursday night, April 9th. When you log in Friday morning you will be asked if you want to uninstall Novell — you should answer yes to this question. As noted, more details will be available soon. Meanwhile, please post any questions as comments to this post so everyone can see the answers. This entry was posted in LIS Staff Interest and tagged April 10 09, DFS, Netware, Novell on April 10, 2009 by Michael Lynch. We have recently started purchasing materials for the new Middlebury summer-language program at Mills College, which will start this year. Courses will be offered in Arabic (all levels), and French, Italian, and Spanish (lower levels). The items we buy will be received and paid for here. Then, after cataloging and processing, they will be shipped to Mills (in Oakland, California). Fortunately, the money to pay for these resources is not coming from the library materials budget, which has suffered a reduction of almost 6% this year because of the lamentable state of the economy. The necessary funds—a relatively modest amount, since lower-level language courses tend not to be very library-intensive—are being furnished by the language-schools administration. Thanks to colleagues in the language schools and the financial offices, we have received the necessary authorizations to directly expend money from the budget lines involved, rather than having to resort to cumbersome internal transfers of funds from one budget to another for each purchase. About 10% of the money allocated has been committed so far. This entry was posted in LIS Staff Interest and tagged April 10 09, Research & Collection Services on April 10, 2009 by William Warren.